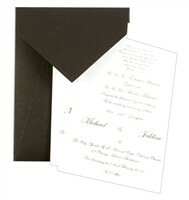 D-4988, Black Color, Odd Shape Cards, Designer Multifaith Invitations. 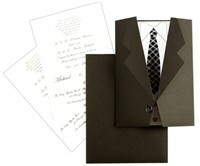 Designer concept! 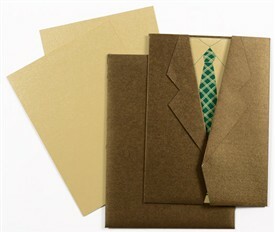 Card in shape of a Blazer (Coat). 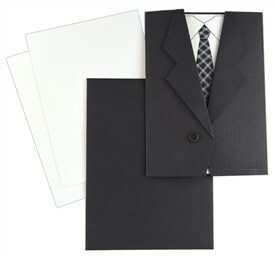 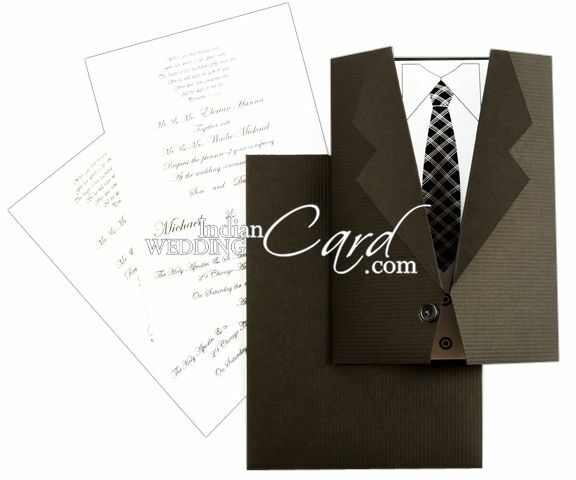 Black textured paper (300 gsm) for Blazer style card and mailing envelope. 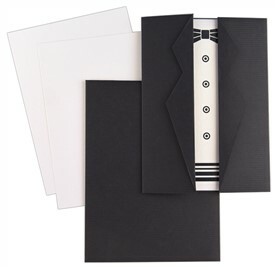 Tie in pocket print and 2 inserts in white shimmery paper.